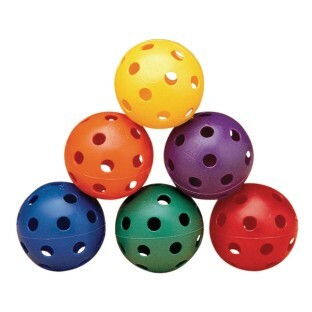 11" plastic softballs in 6 Spectrum™ colors. Easy to track and lightweight for beginners. I use these for the super scoops as well as playing baseballpaddles and catch. I used these balls for field day and they worked great. They were sturdy and anything color coordinated is good to keep teams separated. I plan on using these in my PE class as well for various activities.